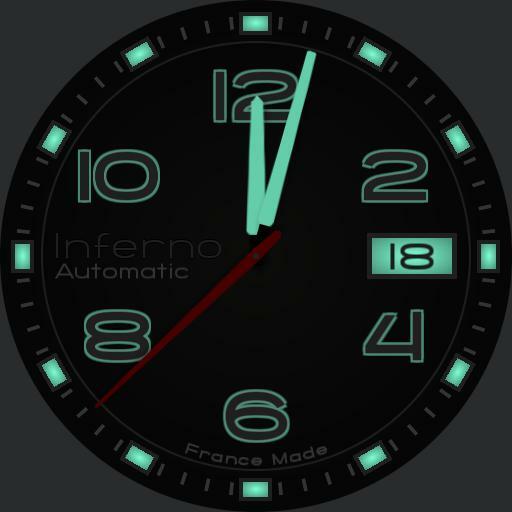 Simple watch face 100% Watchmaker. No software like Photoshop, GIMP etc. was used. Metal parts textures are 3D dynamic coded to the watch x and y movements by Frank Dufaux. Auto night mode at sunset. A choice of fourteen colors, just click the center of the face to change color. Stopwatch function for the activiter / off click 12, start / stop and reset of 2 out of 10.